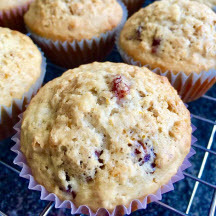 CooksRecipes has quality, kitchen-tested recipes for cherry muffins that you can count on for successful deliciousness. Tender, almond-flavored cream muffins practically bursting apart with cherries. 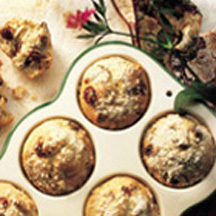 Streusel-topped, tender muffins filled with dried, sweet-tart cherries and pecans. 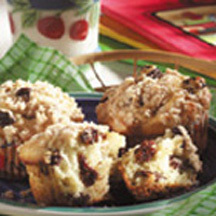 The subtle taste of orange and re-hydrated, sweet-tart dried cherries make these tender oatmeal muffins a winner in both taste and texture.